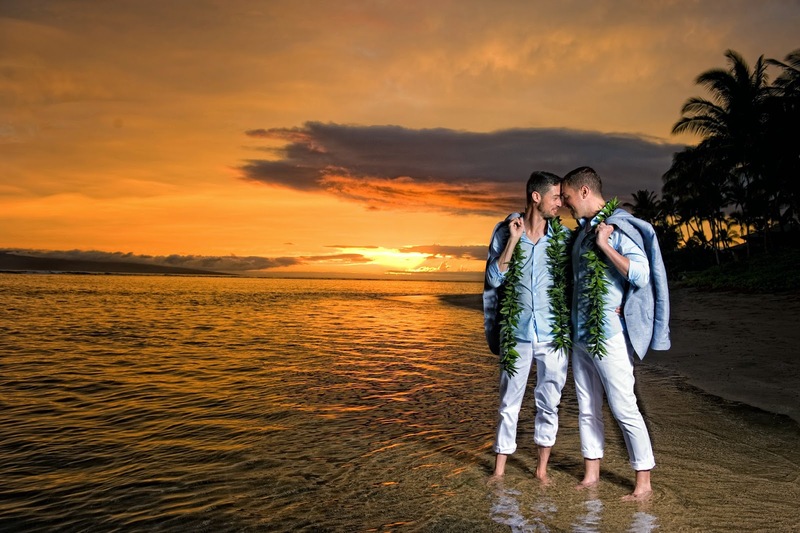 Christopher and Daniel's Gay wedding on Maui was performed yesterday by Reverand Kimo on beautiful Baby Beach in Lahaina. 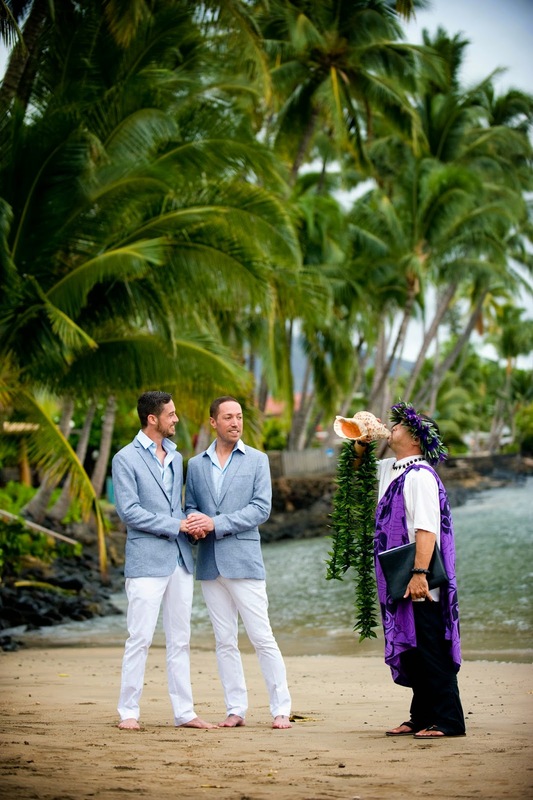 It was a very simple and heartfelt ceremony, just the two of them, with a couple of gorgeous maile ti lies. It had been raining on Maui for a couple of days with wind and gray skies but after this ceremony the clouds broke and we had the opportunity to view another fabulous Maui sunset. Funny thing about the rain, which is pretty rare on Maui, is that people tend to stay away from the beaches so we had Baby Beach pretty much to ourselves. 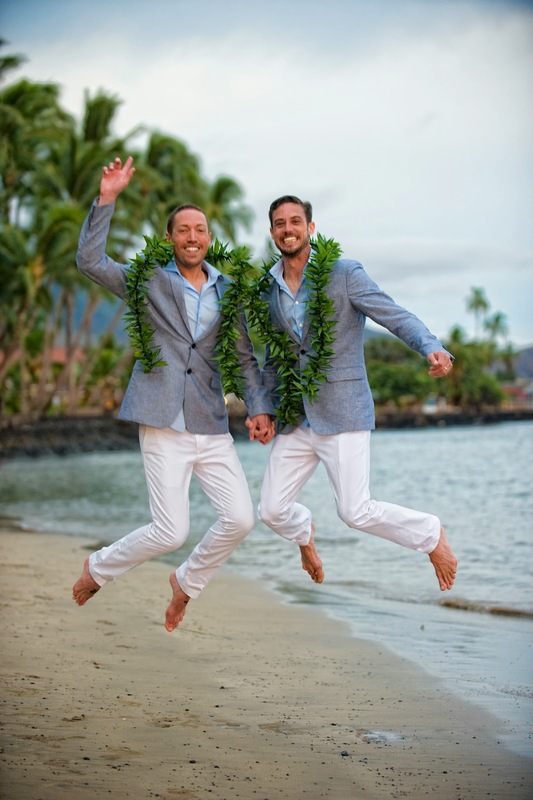 Thanks to Daniel and Christopher, a very warm and loving couple, for letting us be part of your Maui Wedding!